Having spent 10 years in the industry, Justin is no stranger to senior living. He began his journey as a front-line team member and grew into the ranks as an Executive Director. His leadership experience within various senior living departments has provided him strategic insight into each entity inside of a senior housing community. His goal is not only providing quality care to each of his residents, but also enriching their quality of life. Justin’s seasoned background also incorporates leading a local hospice program, thereby giving him great perception with delivering comfort and supportive care to any residents during end of life. 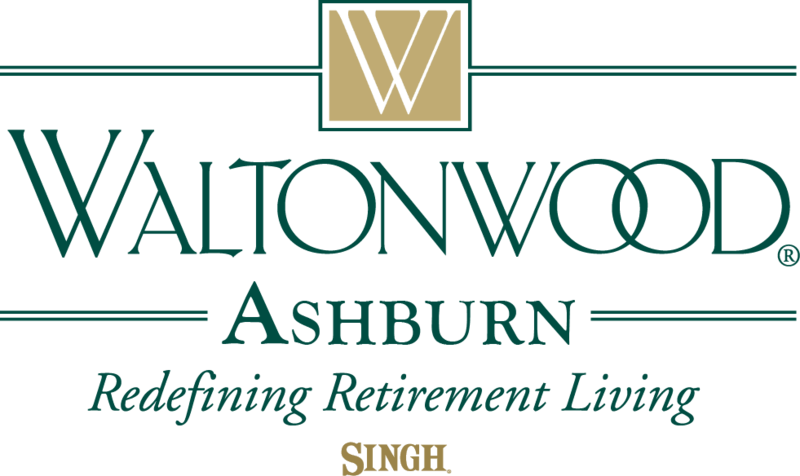 The combination of his prior experiences in Continuing Care Retirement Communities (Assisted Living and Memory Care), coupled with his insight in the dimension of hospice programs, provided the perfect foundation for the opening of Waltonwood Ashburn, Loudoun’s new premier senior living community. Justin holds a Bachelor’s of Science in Exercise Science from the University of Delaware. He followed that up with his Masters of Health Systems Management from George Mason University. Wanting to facilitate the success of other graduate students whose ambition is to champion and provide compassionate care in senior living, Justin partnered with his alma matter, George Mason University, to provide guidance and mentorship to these students. Despite having lived in Northern Virginia most of his life, with his hometown in Herndon, Justin is a New York Mets and New York Giants enthusiast. Justin and his two children (Kaia and Quentin) live in Leesburg and enjoy playing board games, reading, and listening to music while cooking. The knowledge, experience, and compassion he brings to Waltonwood Ashburn ensures that our residents receive the highest quality of care and personal well-being they deserve. Justin is dedicated to fostering a supportive and nurturing Waltonwood Ashburn environment. He is honored with the opportunity to lead this community. Beth started cooking at a very young age. Her first memory was making an angel food cake for her mother’s birthday at age nine. As a young adult, she could be found in the kitchen baking, cooking and holding lavish dinner parties. While her first career was working as a Travel Agent for 12 years, affording her the opportunity to travel the world, after the tragic events of 9/11 she decided to live her dream and attended culinary school. Beth attended school in her native Chicago area and received degrees in Culinary Arts, Restaurant Management and Pastry Arts. She has participated in culinary competitions and earned a gold medal in Austria as part of a college competition team. 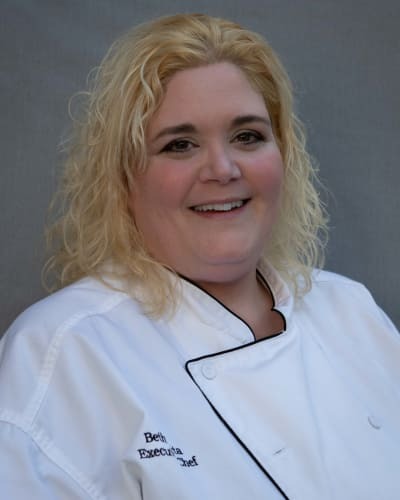 After graduating culinary school in 2006, Beth honed her skills in restaurants and operated her own catering and pastry businesses. She was Executive Chef at the world-famous Mayo Clinic, Cleveland Clinic and most recently at hospitals here in Virginia. In her spare time, Beth volunteers for SOWW (Serve our Willing Warriors) as a staff chef providing meals to wounded veterans and their families. She first had the opportunity to work in the senior living industry in 2016 and loved her experience. She is excited to return to senior living and share her love of cooking and international cuisine with the residents of Waltonwood. 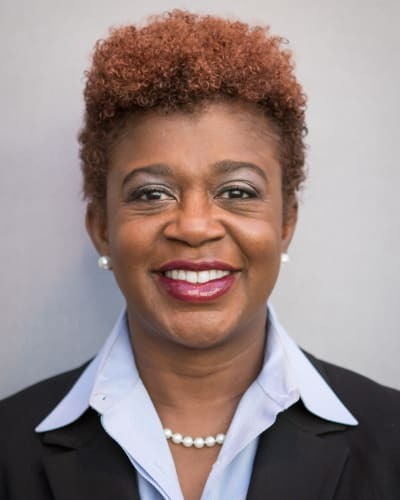 Tiffany Ashton joined Waltonwood Ashburn in March 2018. 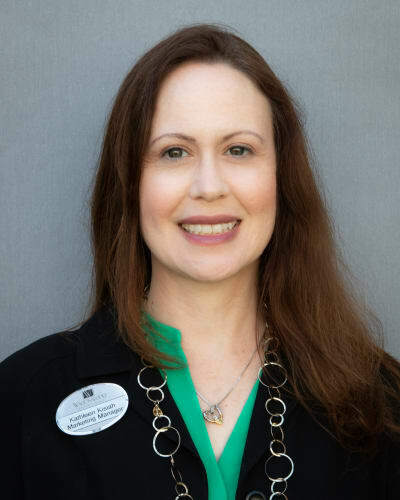 Tiffany has worked in the senior healthcare community as a sales and marketing professional for nearly 20 years, beginning in Tucson, Arizona before coming to Northern Virginia in 2011. She has always enjoyed working with seniors because "I often find so much inspiration in their life experiences and they always have such interesting stories to tell! It is great to give something back by helping our seniors find the perfect living situation after doing so much for our generation!” Tiffany is an Arizona transplant and while she misses the warm weather, “Everything here is so green in the springtime and I love Northern Virginia’s vibrant, active senior community!” she says. Tiffany lives in Herndon with her husband and they have five children: Jessie, Megan, Bailey, Lani and Ozzy. 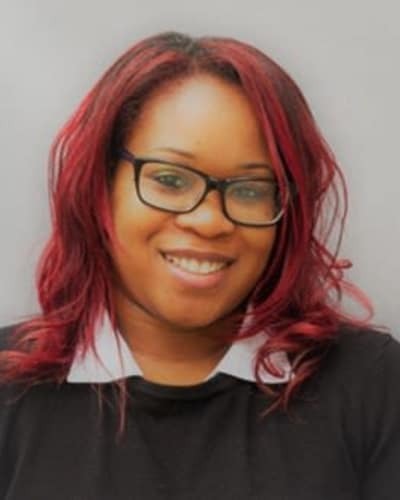 Kathleen Kisiah joined the Waltonwood Ashburn team in June 2018. Kathleen has over 23 years of senior living experience, working for a Continuing Care Retirement Community in Northern Virginia. Kathleen started off as a front line team member and has grown into a seasoned sales and marketing professional. Kathleen brings a wealth of knowledge and experience and is looking forward to bringing her expertise to the Waltonwood family. Kathleen is a nurturing and caring person. She has a true passion working with the active adult and their families to select their new home. Kathleen considers the opportunity to work for Waltonwood Ashburn an honor and a privilege. Kathleen is looking forward to this next adventure in her career. Kathleen is a native of Virginia and lives in Leesburg. Kathleen is the mother of three: Katelyn, Brandon and Kyle. 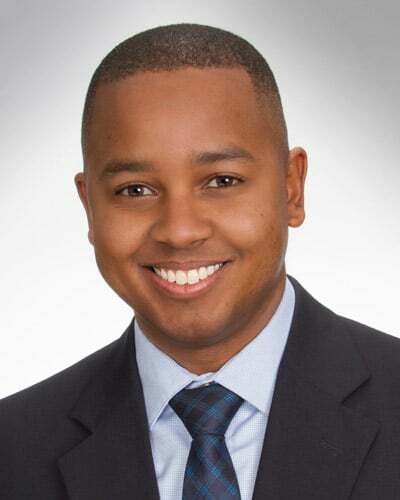 Chandis Parris joined the Waltonwood at Ashburn team in the fall of 2017. Chandis was born in Riverside, CA on March Air Force Base and raised in California, Texas, Virginia and Singapore. She knew at the age of 12 that she wanted to work in the geriatric population. With encouragement and support from her mother, Dr. Parris and second aunt, Theresa Johnson M.S.W, she was drawn to Social Services. After traveling the world, Chandis returned to the United States and pursued her Bachelor’s Degree in Social Work at George Mason University. Over the last 14 years Chandis has worked in the Health Care industry. Often times Chandis has felt the calling to address the concerns and needs of others, which has prepared her for the challenges in her current role as well as previous positions. Chandis now resides in Ashburn with her husband and son. Lea Wotorson, MSN RN joined the Waltonwood family in February of 2018. Lea has been a nurse for over 20 years and has always loved working with seniors. Lea is known to say, "Everyone has a life story" and "I love hearing their journey" when asked why she's chosen the senior population. Lea has an extensive background in Cardiology, Case Management and Leadership. Lea is a Michigan native who enjoys home team sports and the culture of Detroit. 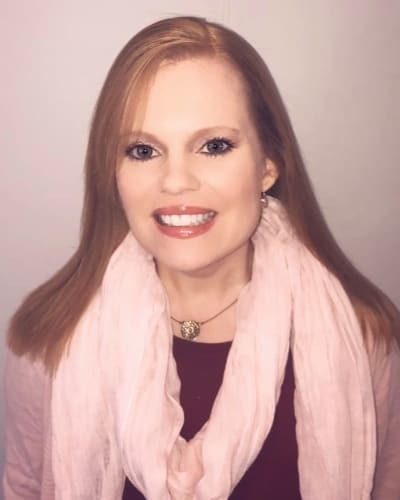 Lea received her Bachelor's degree in Nursing from the University of Michigan - Ann Arbor and her Master's degree in Nursing Administration from George Mason University in Fairfax. Lea lives in Leesburg with her two daughters, Faith and Miehdi "Mimi", and her Shih Tzu named Oliver.